families in this community for generations to come. our YMCA by including a gift to the YMCA's Endowment in their estate plans. This includes bequests in a will or living trust, creation of a charitable trust, or naming the YMCA as a beneficiary of life insurance or unused retirement plan benefits. 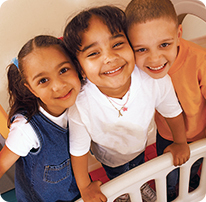 Donating to the Y's Annual Campaign will make a meaningful difference in your community and ensure that no one is turned away from the Y due to inability to pay. Donations to the campaign are given back to the community in direct financial assistances for: membership, camp and child care, literacy services, inclusion services, programs for older adults and much more. For many, membership at the Y gives them a sense of a "greater good", especially when they are able to see their dollars at work should they choose to donate to the Y. Every dollar contributed goes towards giving Y experiences to those who couldn't otherwise afford them. Contributions stay in your community, so your generosity helps those in your own backyard. 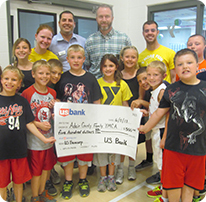 In the end, the Y gives back what you give to the Y. If you are interested in making a tax deductible contribution, please contact the Y today or give online at www.ymca.net/give/give.html. As a sponsor you will receive your logo on all league t-shirts, an official photo plaque to display in your business and your name will be printed in our program brochures (published three times per year). We offer five different sport seasons to choose from. 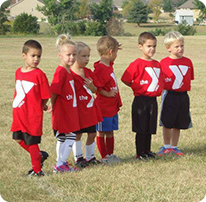 We offer the following during each season winter we offer youth basketball (kindergarten-4th grade), in spring the Y offers soccer (pre-kindergarten-8th grade), T-ball (4-7 years old) in the summer, and soccer (pre-kndergarten-8th grade) and Youth Basketball (5th-8th grade) in the fall. As a sponsor you choose which seasons/sports to sponsor. For more information please contact Luke Callaghan at 660-665-1922.